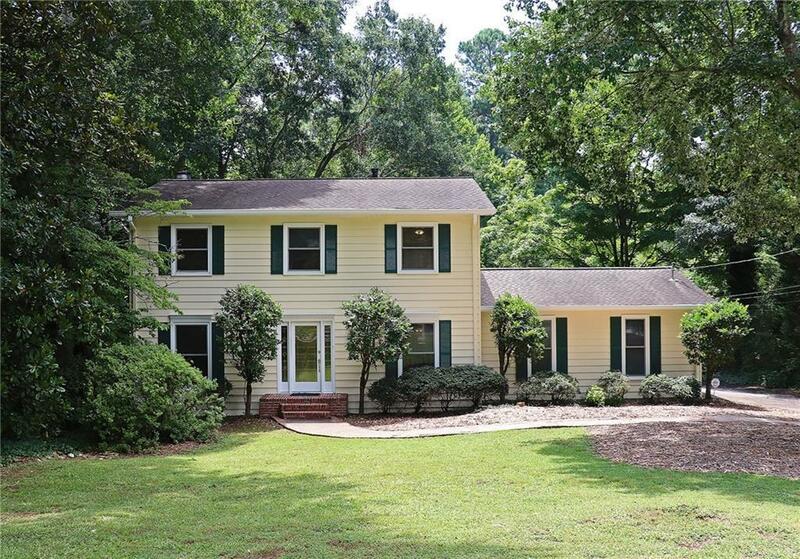 Handsome traditional home on quiet culdesac in popular Cherokee Crossing (Sope Creek Elem). This happy home is in amazing condit & features hdwd floors throughout main lvl, generous size rms, marvelous screened porch, updated kitch (Wolf range,dbl oven/convection) lg master bedrm w/ gorgeous renov bath & big walk-in closet, 3 addl bedrms up + 2nd bath (recently renov). Fin basement offers spacious rec room w/ 2nd fplc, 5th br (or ofc) & full bath. The entire home has been freshly painted inside & out & brand new carpet just installed. Large level lot! HVAC 5 yrs new! Directions: Lower Roswell Rd To Left (South) On Shadowlawn And First Left On Cherokee Crossing. Home Is On Right Side Of Street Near End Of Culdesac.